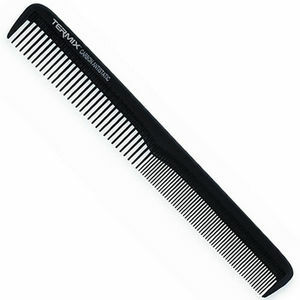 The Termix Carbon 823 Small Cutting Comb 180mm is a great all-rounder of a comb and features rounded teeth which help to protect hair from breakage as they should never drag or pull. £18.54 (inc. VAT) Why no VAT? We're a trade wholesaler and quote our prices without VAT to help our VAT-registered customers understand the true cost of a purchase.